 With a Waterford Golf Club, membership is easy! We offer a traditional membership experience, with the most flexible golf membership options available just south of Charlotte in Rock Hill, South Carolina area. 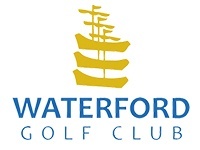 Waterford memberships offer easy access to the golf course, no initiation fees, no food and beverage minimum spending requirements and no assessments. All golf memberships include use of range balls, practice grounds and greens fees for no additional charge. *Memberships include reciprocal golf privileges at all Pinnacle Golf Properties Full Service Management Portfolio of golf courses. Send A Message or contact Ty Lefler at 803-324-0300 about Waterford Golf Club memberships. Access 7 days a week after 2:00PM. Cart fee required whether walking or riding. July to December. View membership details. 12 Month Contract. View membership details. Access 7 days a week ANYTIME. Send A Message or email Ty Lefler tlefler@thelinksatwaterford.com or call 803-324-0300 about Waterford Golf Club memberships. All memberships include use of range balls, practice grounds and greens fees, for no additional charge, during times when the membership is in good standing. *Walking privileges for Sport and Full members only Monday through Friday anytime. **Reciprocal Golf Privileges for Sport and Full members only at all Pinnacle Golf Properties Full Service Management Portfolio of golf courses. Charlotte area courses include Birkdale Golf Club, Highland Creek Golf Club, The Divide Golf Club, The Tradition Golf Club, Waterford Golf Club, Skybrook Golf Club and Tega Cay Golf Club. Greensboro area courses include Bryan Park Golf Club and Stoney Creek Golf Club. You are required to schedule your tee time through the staff at your home golf course. Reciprocal rates listed below. Subject to availability.